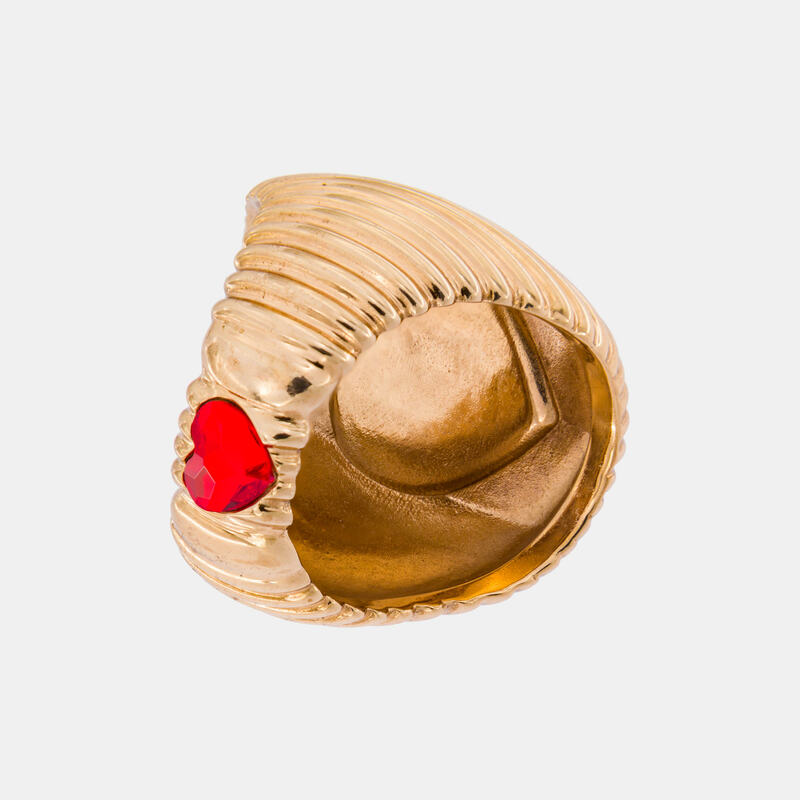 This oversize ring is made of yellow gold-plated bronze with a wraparound design inspired by the Sentimental jewels of the Victorian age, which was always considered as a tangible expression of emotions. 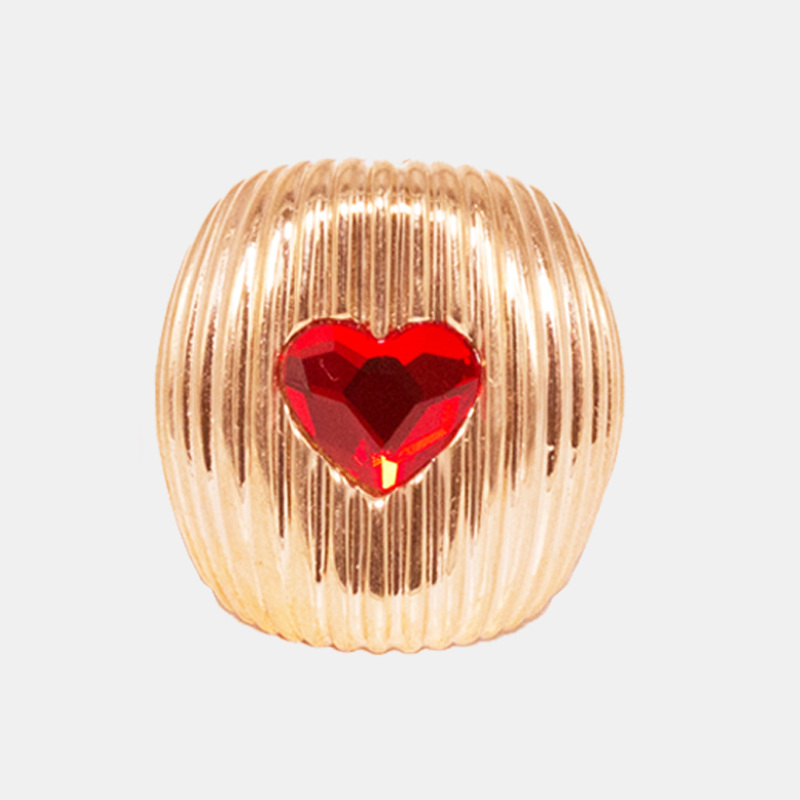 The ring is finished by the iconic knurled pattern of the brand and embellished with a heart-cut red crystal. 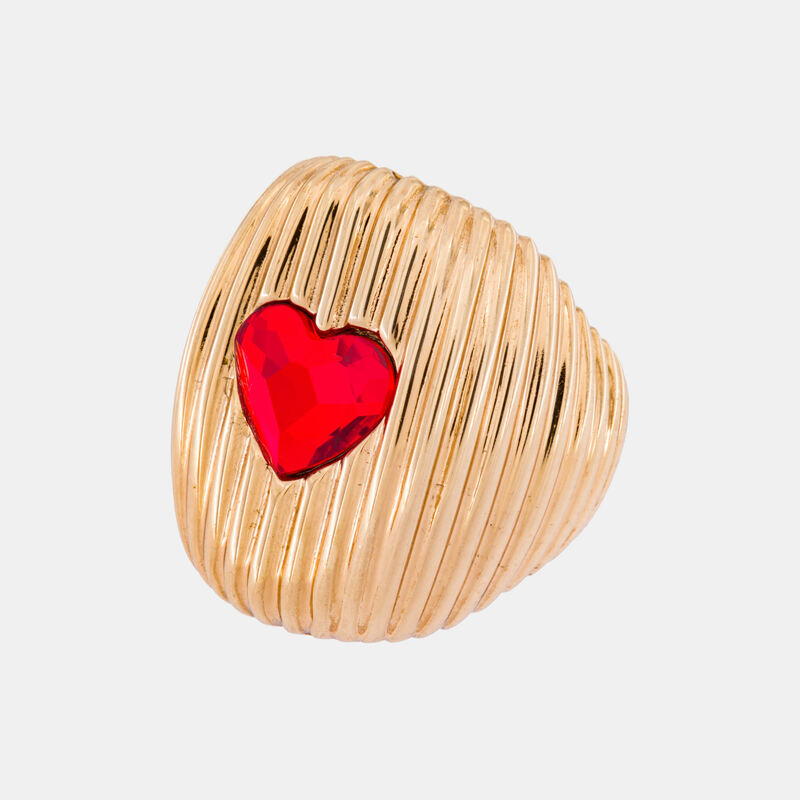 This simple design is made for everyday wear, while still making a statement.